When Sylvester, the Duke of Salford, first meets Phoebe Marlow, he finds her dull and insipid. She thinks he is insufferably arrogant. But when a series of unforeseen events leads them to be stranded together in a lonely country inn, they are both forced to reassess their hastily formed opinions, and they begin to discover a new-found liking and respect for each other. But what Sylvester doesn’t know is that Phoebe is about to publish a novel – a novel in which all London will recognise him as the villainous ‘Count Ugolino’. 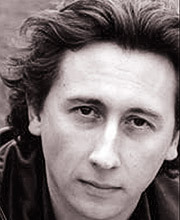 If she’s a Georgians’ fan, get her Nicholas Rowe’s unabridged narration of Sylvester: or The Wicked Uncle. This is one of Heyer’s finest books, revealing about the shocked disapproval that greeted romance writers in Jane Austen’s times, and also this most private of author’s own feelings about her craft. Of course we guess from the start that gawky Phoebe will end up hitched to the arrogant and sardonic Duke of Salford, but it’s the journey that counts. Sylvester, Duke of Salford, has decided it’s time to marry. After consulting with his godmother, Lady Ingham, he reluctantly agrees to meet her granddaughter, Phoebe Marlow, to determine if she might be a suitable match. But Phoebe is horrified when she learns of his intentions, since she intensely dislikes him, and has cast him as the villain in her soon-to-be-published novel. Listening to Nicholas Rowe’s rendition of Sylvester is an absolute delight. Since the text is heavy on dialogue, it reads more like a play than a book, and it is easy to immerse oneself fully in the story. Many scenes are laugh-out-loud funny, and the characters are well-developed and even comical in their actions. I absolutely adored Sylvester, and Phoebe is a spunky girl with a good heart. Anyone who enjoys a good, clean romance will love this book. 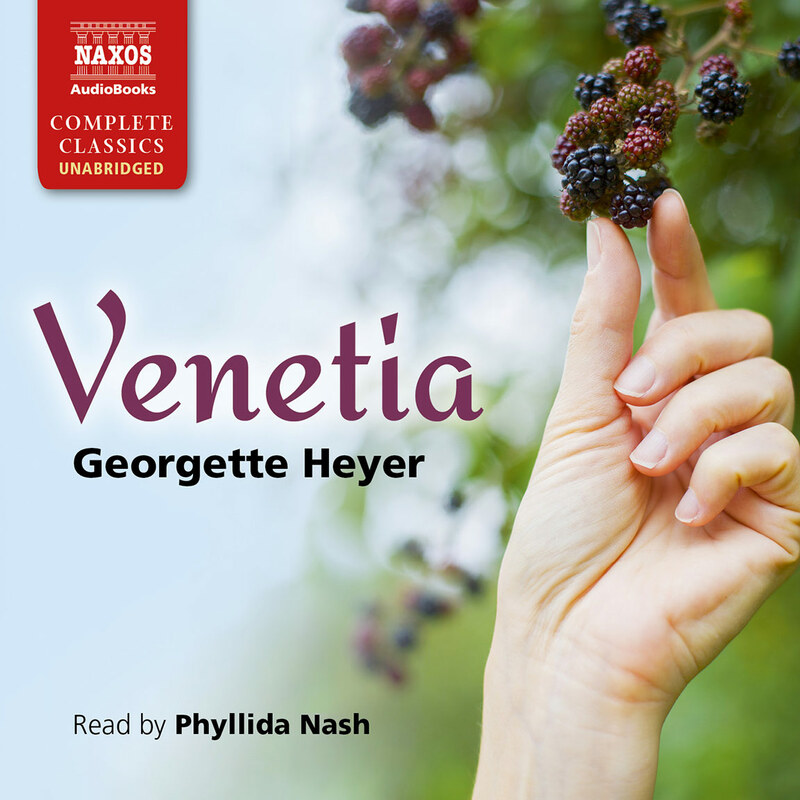 Heyer’s myriad fans will rejoice in this new, unabridged recording of one of her classic titles. Sylvester takes his role as head of the family seriously, especially his responsibility for his young, fatherless nephew. His endlessly critical sister-in-law has put him off women, and his initial reaction to Phoebe Marlow is that she is dull, while she finds him arrogant. Of course, love blossoms, only to be endangered when Phoebe’s anonymously written gothic romance becomes the talk of the town, and her skewering of Sylvester nearly destroys their relationship. In his lovely baritone and upper-class English accents, Rowe vividly depicts the characters and their antics. 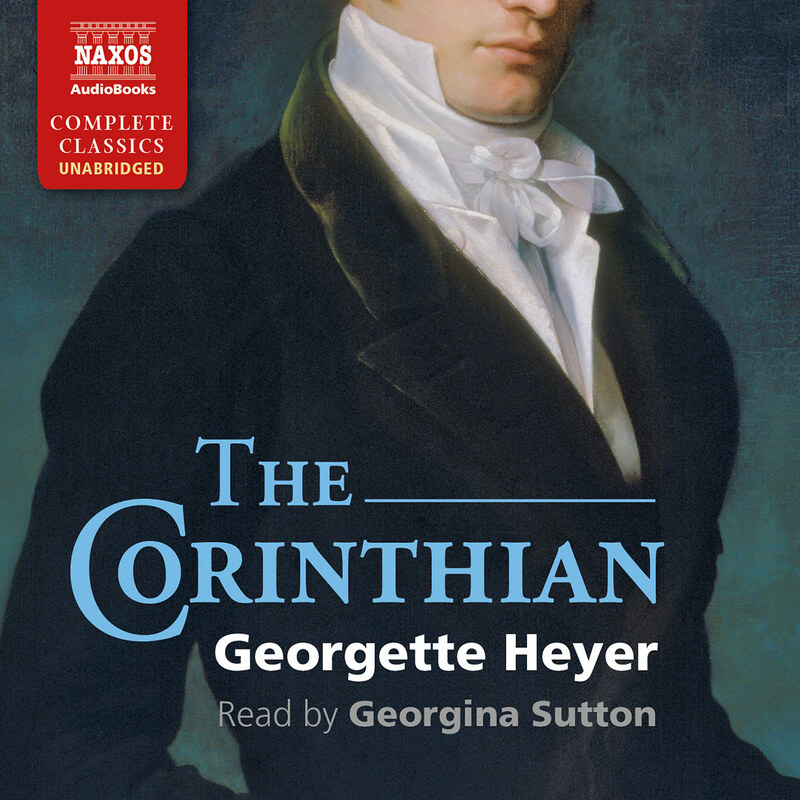 He invests Sylvester with an emotional depth that matches Heyer’s prose while infusing the female characters, especially Phoebe, with warmth and charm. 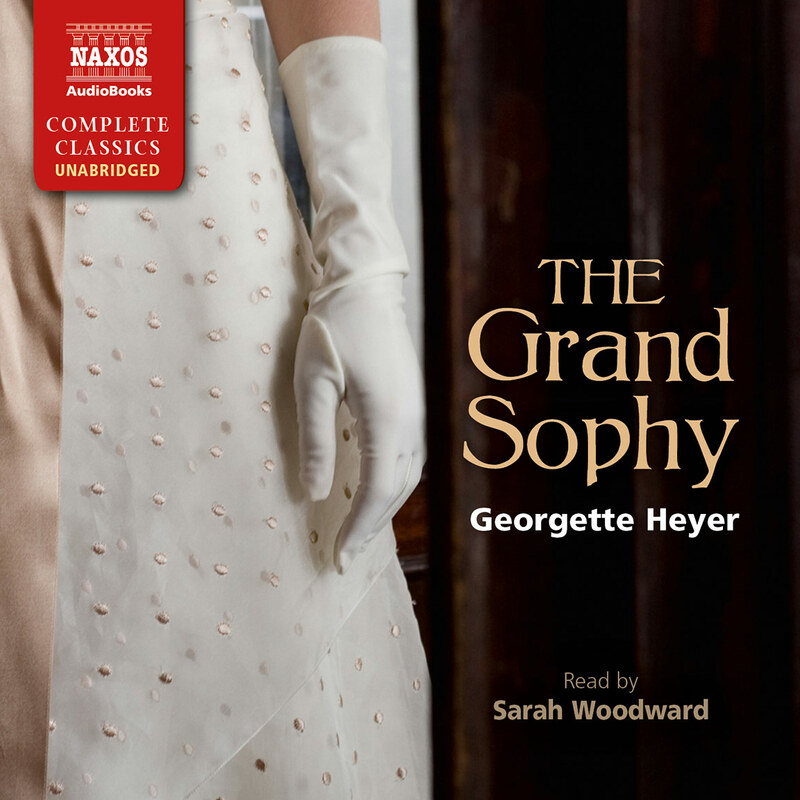 Heyer’s dialogue is meant to be heard, and Rowe deftly manages the witty byplay as Sylvester and Phoebe sort out their differences against a fully realised backdrop of Regency society. 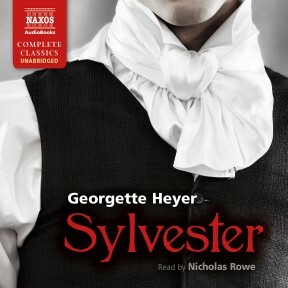 Sylvester – subtitled The Wicked Uncle – is in many ways vintage Georgette Heyer. Published in 1957, when she was at the height of her popularity, it features a flawed yet ultimately deserving hero; a naïve, strong-willed young heroine; meticulous historical accuracy; plenty of wit; and, of course, a happy ending. And as with all Heyer’s novels, it is packed with fascinating insights into the Regency period – she was possessed of a vast knowledge of the era – and there are many references to real people and places. For instance, one of her ‘characters’, Edward Hughes Ball Hughes (c. 1798–1863) – otherwise known as ‘Golden Ball’ – was an extremely wealthy dandy of the period, famed for his over-elaborate dress and prodigious spending habits. In Heyer’s book, he is mentioned in passing by her hero Sylvester, the Duke of Salford, when he describes Sir Nugent Fotherby as being ‘as rich as Golden Ball’. However, the comparison goes deeper than that – Fotherby is portrayed as a gaudy figure of ridicule, an absurd, tasteless dandy who, like Golden Ball, squanders his money on clothes and cards. It is interesting to note that Heyer chooses a travelling coach as an example of Fotherby’s conspicuous consumption – Ball Hughes was particularly renowned for his bespoke chocolate-coloured coach. Perhaps unsurprisingly, given the abundance of fashionable young men among the wealthy Regency upper classes, the dandy is a frequently lampooned archetype in Heyer’s work. Well-known figures such as Beau Brummel inspired a generation of young men to dress in the foppish way described so accurately by Heyer. Lady Sefton and Lady Castelreagh, both of whom receive passing mentions in Sylvester, were real-life (and very eminent) members of the aristocracy. Crucially, they were both Patronesses of Almack’s Assembly Rooms, one of the most exclusive social venues of the period. The Patronesses were essentially the arbiters of acceptance into the ton (Regency high society), meeting every Monday to decide who should or should not be allowed entry into Almack’s. Their approval was essential for anyone wishing to become a member of their exclusive circle – their disapproval meant social ostracism and disgrace. Phoebe’s trepidation at being cut by these fearsome women is not difficult to understand, particularly as, in 1816, less than two years before the events in the novel take place, a strikingly similar scandal occurred that both delighted and horrified ‘society’. Taking her revenge against Lord Byron after their affair ended badly, Lady Caroline Lamb published Glenarvon – a Gothic novel featuring satirical depictions of well-known society figures and, in particular, a bitter, thinly disguised portrait of Byron himself. Although the novel was published anonymously (and became wildly popular), Lamb had her Almack’s voucher rescinded and she was exiled from fashionable society. Phoebe would have been aware of the furore – would probably even have read the book – and she would have known of Lady Caroline’s fate. There are some interesting parallels between Phoebe and her creator. Heyer started writing her first novel, The Black Moth, at the age of 17, while Phoebe is 18 when she writes The Lost Heir. Both are Gothic adventure stories. 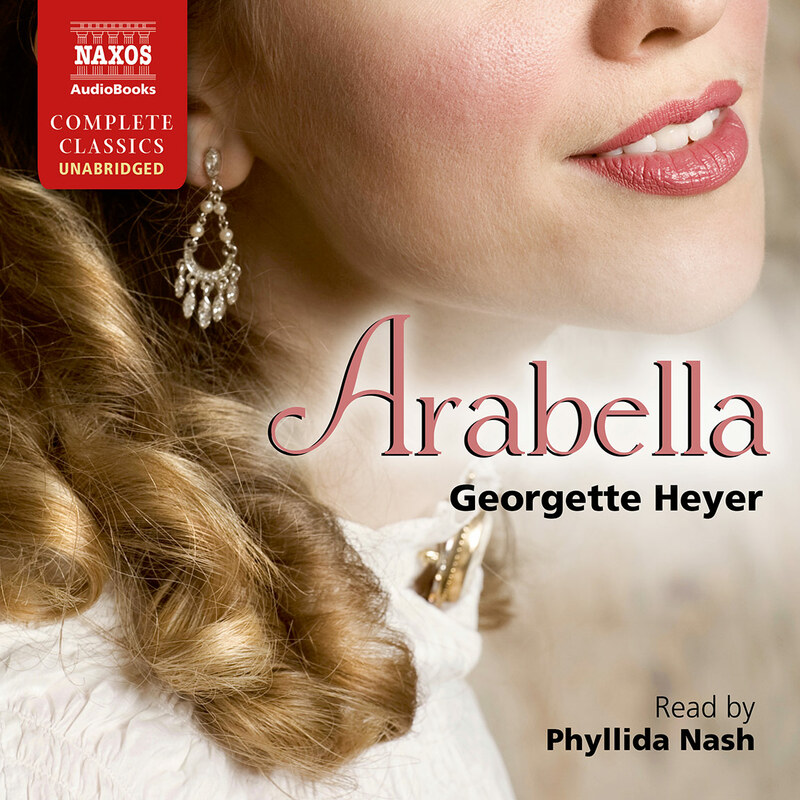 Phoebe’s love of books is encouraged by her governess, while Heyer’s father, George Heyer, nurtured a love of literature in his daughter. As a child, Heyer would spend hours discussing books with her friends Carola Oman and Joanna Cannan, both of whom grew up to be authors. 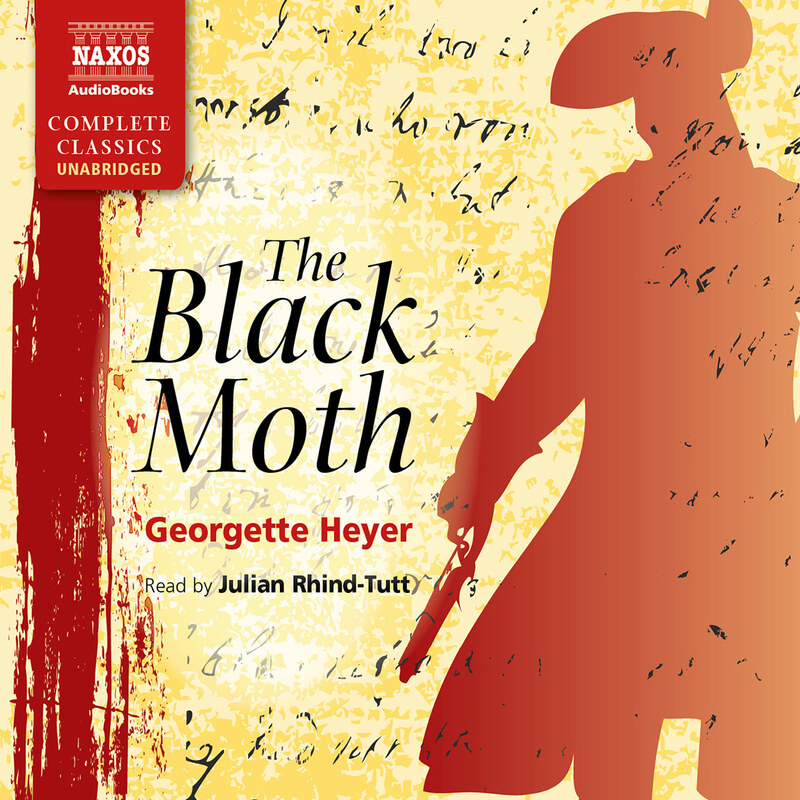 The Black Moth was published, with George Heyer’s help, in 1921. Unlike The Lost Heir, it did not make its author suddenly famous, but it did initiate a steady stream of novels and, in 1926, Heyer had her first major success with These Old Shades. By this time, she had been married for a year to a young mining engineer, Ronald Rougier, and had already published five books. From 1932 until her death in 1974, Heyer produced novels at the extraordinary rate of almost one a year, spawning a new literary genre – the Regency romance. Yet despite her undeniable success, she was frequently troubled by plagiarism and financial problems. Throughout the 1950s and 1960s, her company Heron Enterprises was a source of contention between her and the tax authorities, and a large chunk of the profits from books written around this time went towards paying back money to the Treasury. Plagiarism also became a problem – from the 1950s onwards, several other writers traded on her popularity by writing novels using names, phrases and events from her books. She was even accused by some of her fans of publishing substandard work under a pseudonym. Although Heyer sought legal advice on several occasions, she never chose to sue. Sylvester, published in 1957, is a product of these troubled years, and perhaps this goes some way to explaining the pseudo-autobiographical elements of the plot. Despite her immense popularity, Heyer was an intensely private person, answering the curiosity of inquisitive fans by saying ‘you will find me in my work’. She never really seems to have been comfortable with her identity as an author of romantic novels, and she was unsentimental about her work, even referring to it as ‘nonsense’. She did not preserve her manuscripts, and only kept a few reviews. Just one fan letter remained in her keeping – from a Romanian political prisoner who wrote that she had spent twelve years in prison, telling and re-telling the plot of Friday’s Child (1944) to her fellow inmates to keep themselves sane. Heyer seems to have existed almost as two separate people: Georgette Heyer, the famous author, and Mrs Ronald Rougier – private, reclusive and enigmatic (so much so that her married name was first revealed in her obituary). Her work, with its unique juxtaposition of light-hearted romance and meticulous historical accuracy, echoes this uneasy dualism. Perhaps Sylvester – with its preoccupation with literature and authorship – was a way for her to come to terms with these personal issues and ‘find herself in her work’. Ultimately, of course, we can never know the ‘real’ Georgette Heyer, but perhaps this doesn’t matter. Her novels sparkle with energy, intelligence and wit – and this is how she is known and remembered by her readers.